So, you want to set a Symfony based REST API… Allow us to give you a few tips on how to proceed. SensioLabs, the creators of Symfony, describe it as “a set of PHP Components, a Web Application framework, a Philosophy, and a Community — all working together in harmony. It´s only natural you´re eager to get started with it! 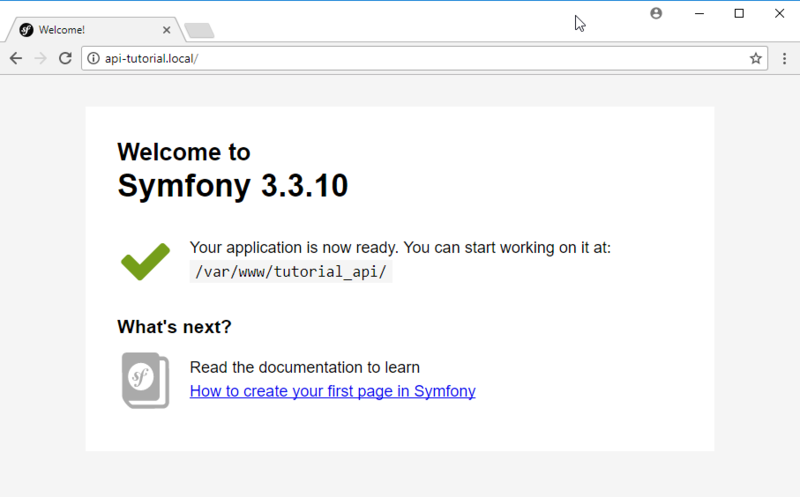 This tutorial will show you how to set a Symfony based REST API using OAuth as authorization protocol. You will need to install a Symfony environment. The official documentation guides on this process and explains how to solve common issues. We used the latest stable version at the time we were writing, which is Symfony 3.3.10. Also, you may want to set an Apache or Nginx VirtualHost, so you can access your app from your web server. The best way to do this is following the official docs. Next thing we’ll need is FOSRestBundle to handle the REST requests in our application, and again you should install it as described in the official docs. This will create the controller class in src/cleverti/MySuperRestBundle/Controller/RestController.php, which is where we will focus right now. The generate:controller command will only generate a base skeleton of your controller class, which means that you will need to add all the mechanics for your controller to respond to the routes you want to define, and this is done by using Actions. … which means that we will need to make a few changes. After all, this is just the initial skeleton. So, let’s start by defining a route for our controller. Now we are ready to define our routes in our controller. Because we will use REST, our controller will not extend Symfony’s default controller, but FOSRestController instead. So, let’s define a test action for us to see the API magic at work, and we will call it restGetAction in this case. We will also use an annotation to set our route, like this one: @Get("/get/cleverti"). And we are almost ready. 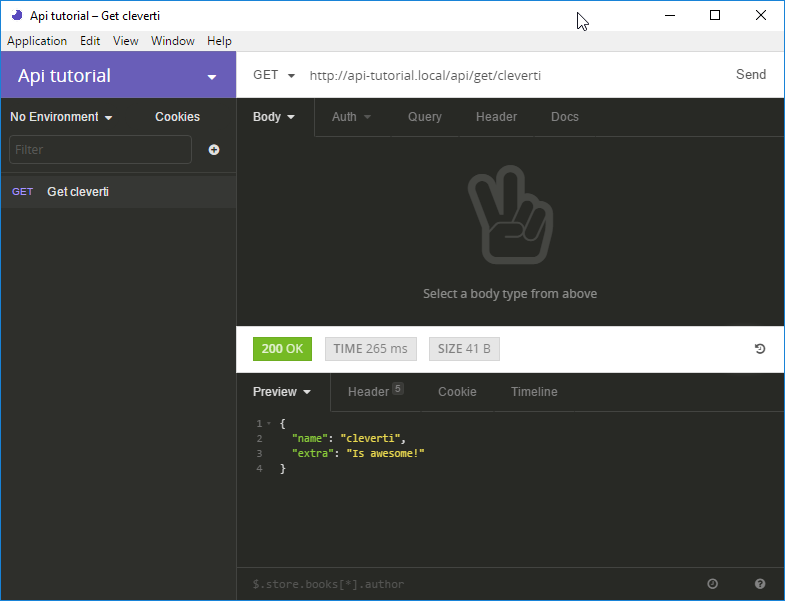 And now go ahead, and call your route with your favorite REST client, or since the method defined for this route is GET you can also call if from your web browser. We used Insomnia as REST client in our example. Then, you should install FOSUserBundle as explained in the official documentation. And then install FOSOAuthServerBundle as shown here. When we’re done with the installation of FOSUserBundle and FOSOAuthServerBundle we’ll need to create an OAuth client and a User, so we can create Oauth Access Tokens. We’ll need that for our request. Ok, everything is going great so far, and we got our access token. Success! Our route is protected and available to authenticated users only, using OAuth 2.0. And it’s pretty much it. And that’s all for now. You’re good to go! If you need, you can also access the demo Git project here. We hope you enjoy your coding as much as we do. Have fun!